Mark Hamill has been quite vocal in his criticism for Rian Johnson's handling of Luke Skywalker in Star Wars: The Last Jedi. 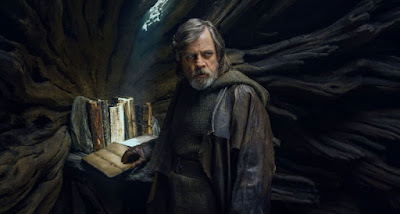 Specifically he has a bone to pick with the idea that Luke would ever "give up" on anything, and isolate himself in the farthest corner of the galaxy. In an interview with Vanity Fair he says he told Johnson, "I pretty much fundamentally disagree with every choice you’ve made for this character," while in another he said he had to think of Luke as a different character altogether. Keep in mind, Hamill has also praised Johnson for being "the exact man" needed to tell that story. I think that was pretty big of him to do. It was disturbing to me to see Hamill going around bashing the film just because it didn't do what he would have done, and his criticisms sounded a lot like the fans' who have been upset at the direction. But Star Wars desperately needed to change, and Luke Skywalker, after all of these years, needed to be someone different from the character we last saw in Return of the Jedi.